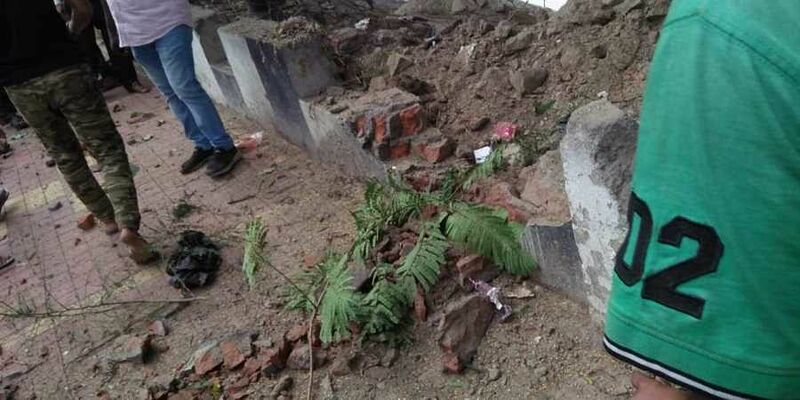 The blast took place beside a footpath near the Sukreswar temple on the bank of the Brahmaputra at busy Pan Bazar area. GUWAHATI: Ahead of Durga Puja, four people, including a woman, were injured in an explosion in Guwahati around noon on Saturday. The police said the four people, who sustained minor injuries, had been admitted to the Mahendra Mohan Choudhury Hospital which is located near the blast site. “At this time, we won’t say it was a bomb blast or a subversive act. The explosion could have also occurred from a powerful scrap. There is a heap of stones and mud at the site of blast and the scrap was possibly underneath it. The bomb experts are coming. We will know more about the incident following an examination,” the police said. A concrete wall was damaged in the impact of the explosion. A city bus was also partially damaged.